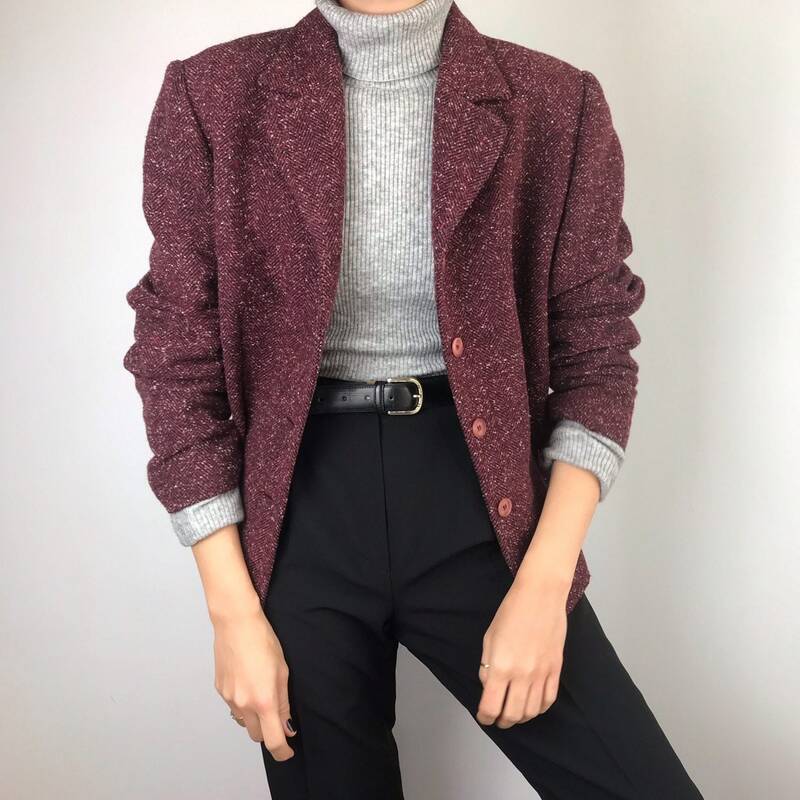 Beautiful ‘90s vintage merlot flecked blazer with faux leather merlot size waist belt. Size on label 44. Will fit S/L -depending on how it’s styled. Shown on a size S model on the pictures. Fabric is %45polyester %35wool %10cotton %10other fibers.